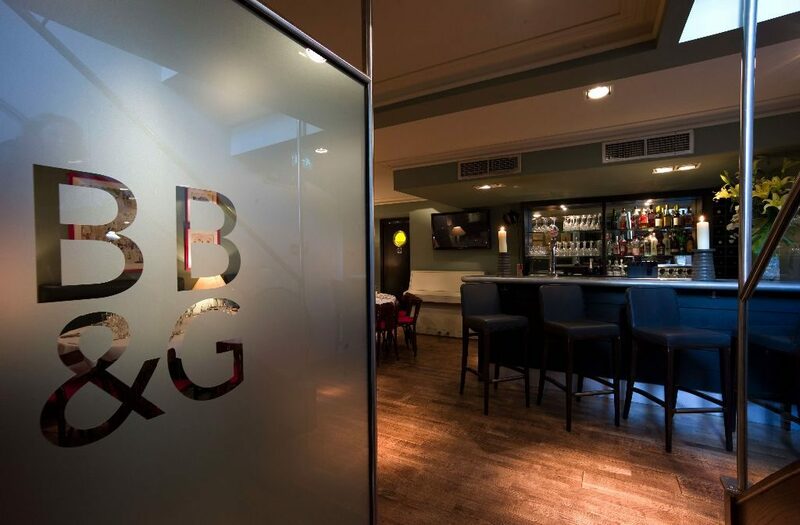 The Brompton Bar and Grill is a quaint restaurant that resides in the roads connecting the museums of South Kensington with the glamorous streets of Knightsbridge. 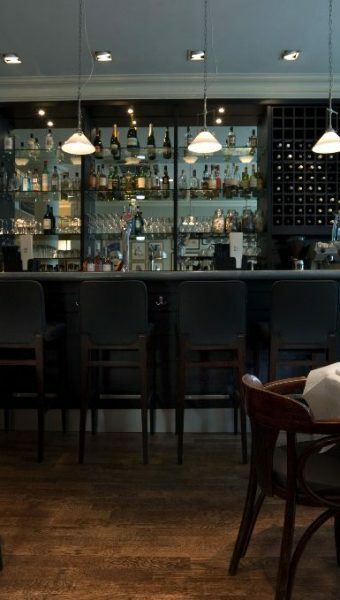 Though it is firmly nestled amongst some of the world’s most fashionable streets – where trends are set on a seasonal basis, the Brompton Bar and Grill pays homage to classic style throughout the entire venue. 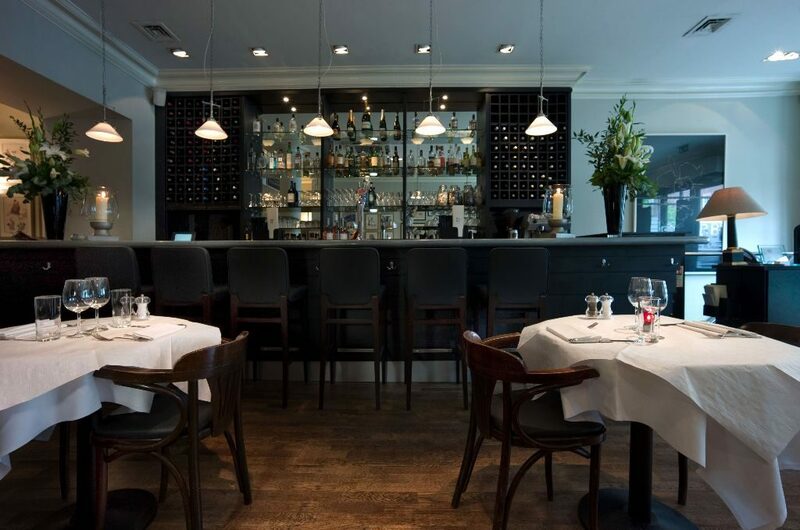 This includes the menu, décor, music and furniture; the Brompton Bar and Grill demonstrates classic and chic dining, doused with modern twists. 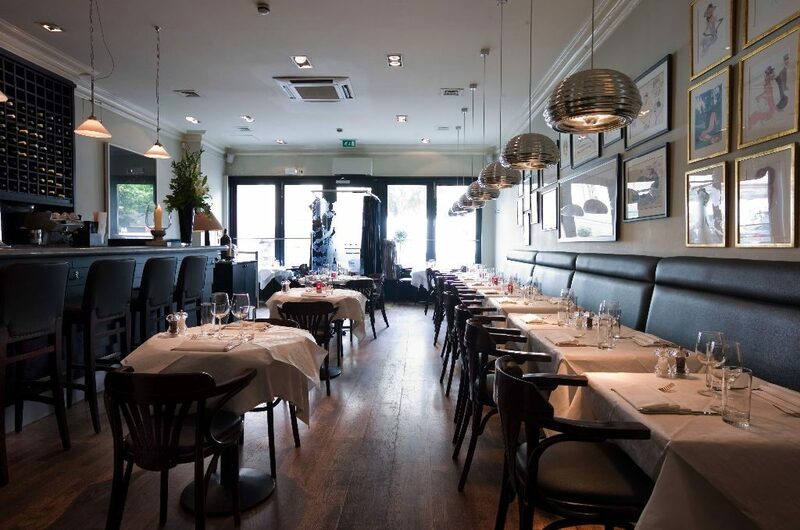 The venue is a carbon copy of a traditional French bistro. Close proximity seating allows a robust and vibrant atmosphere to develop but intimacy is still very much attainable (owed to the small size of the tables). 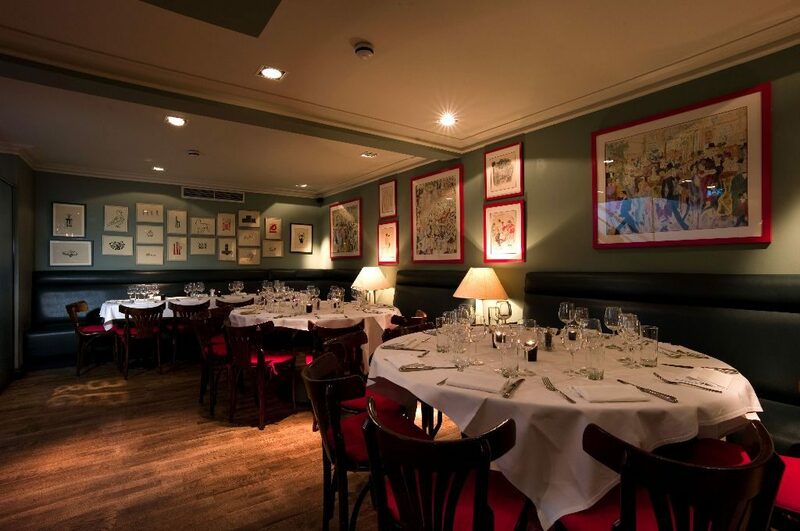 The walls are filled with caricatures and paintings, taking inspiration from Kensington-and-Knightsbridge frequenter’s pastimes – dinner parties, polo and fashion. There is a bar on one side of the main dining area, which is also the source of the cocktails and drinks, and some very smooth 60’s and 70’s jazz creating a warm environment upon arrival. 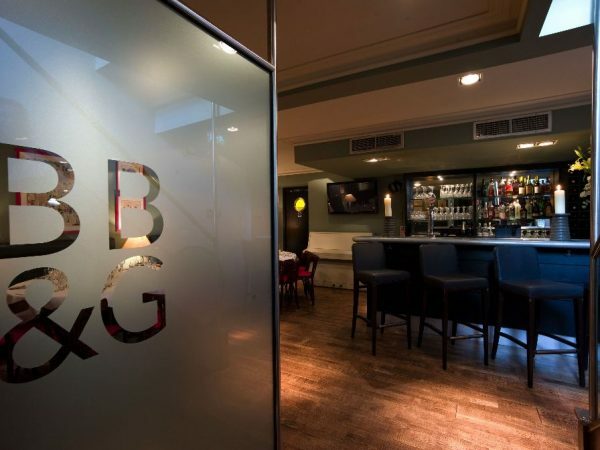 Though the venue is spread over two floors, the epicentre of the dining atmosphere is on the ground floor – the basement providing more of a drinking experience than a dining one. On the evening of my visit, the clientele undoubtedly fell into the ‘residence of South West London’ category. There was an overwhelming sense that my guest and I were the only first time diners. Despite this, and not uncommon to neighbourhood restaurants, the clientele did possess some variety – young professionals, the older generation, rosy-cheeked wine loving veterans and twenty-somethings on dates. A mix, indeed, but they were all of them clearly well-to-do! For the fans of classic British menus, the Brompton Bar and Grill cannot be overlooked. In keeping with this British theme, I aimed to stay as close to our shores as possible. To start I went for the dressed Dorset crab – white and brown crab, mayonnaise, lemon – a great start to the meal, which was light, fresh and full of flavour. The portion size was substantial enough to pass as a main course and serving crab in a crab shell is always a nice touch. Moreish as the dish is, there is a whole section on the menu dedicated to grills and roasts so not finishing the dish was forgivable. For my main, I opted for the rib-eye steak. Rib eye steak is always the most flavourful cut and this was definitely the case at the Brompton Bar and Grill. A bottle of GAVI DI GAVI Nuovo Quadro, La Battistina 2011 Piedmont was recommended by the waiting staff and was the perfect accompaniment to a great meal. My one criticism is that I don’t think the guest should be shackled to one size of cut (the only size available is 250g), particularly at a ‘Bar and Grill’, and when the quality is this good, you do not want your customers to leave wanting. Dessert was a flawless sticky toffee pudding with clotted cream ice cream. The bar serves great classic cocktails at very resonable prices and there is an extensive wine list. Brompton Bar and Grill gets very little wrong. 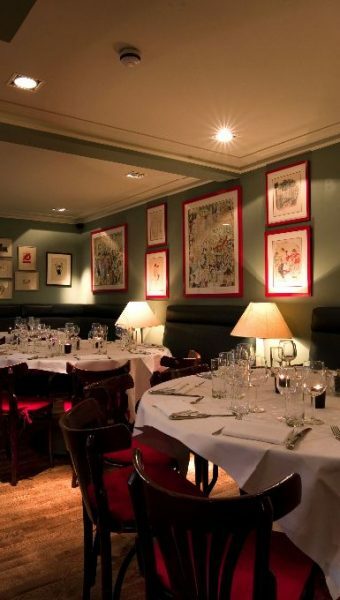 A venue that predominantly operates in one rather cosy room is likely to find it difficult to keep their mistakes and short-comings concealed from other diners – there was no sign of this at any point in the night. The staff knew all aspects of the menu to a degree that provoked a great deal of trust and the atmosphere created a warm vibe that will have you refusing to leave long after your meal.